As both the Dean of the College of Cardinals, His Eminence Cardinal Angelo Sodano and his Vice-Dean, Cardinal Roger Etchegaray, are past the eligibility age to vote under the norms currently in place, the duty of presiding over the Conclave would seem to fall to the senior cardinal-bishop younger than 80: the retired prefect of the Congregation for Bishops Giovanni Battista Re, who turned 79 in late January. He is the Cardinal- Bishop of the Suburbicarian Church of Sabina-Poggio Mirteto. Born in Borno, diocese of Brescia, January 30, 1934, ordained in priesthood March 3, 1957; elected titular bishop with personal title of Archbishop October 9, 1987, consecrated November 7, 1987, by Pope John Paul II created and published in the consistory of 21 February 2001 , of the Title of Santi XII Apostoli. 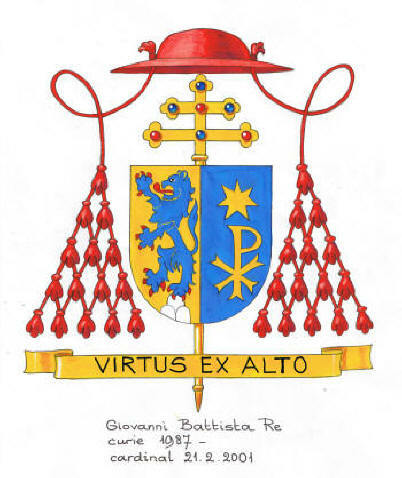 On 1st October 2002 appointed Cardinal-Bishop of the Suburbicarian Church of Sabina-Poggio Mirteto. Prefect emeritus of the Congregation for Bishops and president emeritus of the Pontifical Commission for Latin America. Secretariat of State: Section II, Council with States. Congregations: Member at Congregation for the Doctrine of the Faith, for the Oriental Churches, for the Evangelization of People. Office: Administration of the Patrimony of the Apostolic See. 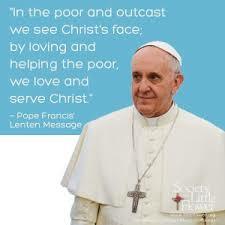 Pontifical Commission for the State of Vatican City.